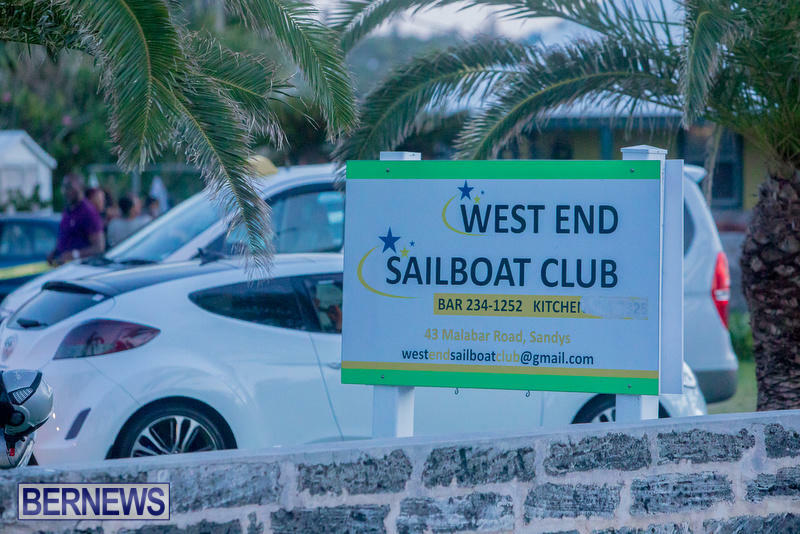 One man died and another was injured in a stabbing incident last night [July 29] after a disturbance at the West End Sailboat Club. Minister Caines was appointed on July 20th and confirmed the priority action of the Government regarding the issue of violence. As the long holiday weekend approaches Minister Caines urged calm. Minister Caines advised that he would be meeting with the Commissioner of Police tomorrow [Monday, July 31]. Time to take off the gloves and bring down Scotland Yard to handle this. Many don’t believe that the Bda Police are competent and trained enough to handle this type of violence. People need to be protected and this issue needs are much firmer hand on it and not a soft handed approach! Trust Me, You do not want outside people here with a Heavy Hand. It is OUR mess and We need to clean it up. The police should not be the only ones tackling these Social Ills. There Must be an United movement on this. Yet MANY more do believe the BPS are qualified and competent enough to handle crimes in Bermuda! We should have let de Doc bring in de SWAT Team after all. I love the “we” part. My how some LOVE to sit in their OWN misery!!! I know you state of mind leaves you ‘puzzled ‘ but there is a larger segment of this community who are clear on the social problems with our young people. No party has reached the young people yet why are 20 year olds stabbing and shooting each other? Family not party defines you dumb comment. Thank you can we be included in these solution will there be community members welcome to help ?? I feel we can help by getting to know who is who and what they do in country. Time to get a hold of theses grown a$$ men gassing up theses youth. Why don’t you come up with a solution instead of stating the Obvious, Captain???? Please enlighten you are going to change a mindset of our youth overnight. Thanks to the men in suits, they see no hope for them. People in Bermuda are finally reaping the seeds that were sown 20 to 30 years ago. The generation back then decided to turn away from God and stop teaching Christianity to our youth. The parents back then demanded that discipline be removed from schools. Some parents would go to school to physically assault teachers for disciplining their children. Children naturally lost their collective conscience and the ability to reason right from wrong. What emerged was a generation being raised without discipline in the home, school, or society. The advent of negative tv, movies and music and the social inclusive mindset to embrace everything immoral in Bermuda has finally come full circle. You cannot deny that the increase in homicide and social unrest in Bermuda is a direct result of the decline in Christian morals and values that USED TO EXIST IN BERMUDA. You reap what you sow. The truth hurts, but the only way to fix a problem is to get to the root cause. Now we have a generation of young people who do not have God. God is love, so they have no love or compassion for each other. Where there is a lack of knowledge the people perish. I pray that my home country will turn back to God before it is too late. How sad is it that knives seem to form a part of some people’s wardrobe these days! Do they somehow manage to conceal them in their pockets? So very, very sad. I keep saying it, but nobody listens. Make a law whereby being a gang member is punishable by a severe sentence. Such as mandatory 10 years no parole. If they serve it and come out and re-offend by showing evidence of rejoining with any gang, then they should be sentenced to 20 years mandatory. In both cases, no parole is to be granted until half the sentence is served and they complete with honors an anti-gang “cleansing” course done by hired professionals specializing in that field. And any proof of someone having affiliation but not actual membership in any gang, and especially if they support or protect the gang in some way, or aid crimes, then their punishment should be half of that which is suggested for membership. Schools should be taught how to spot gang behavior and regalia or marks, and this will help eliminate anything developing in schools, where a lot of kids are ‘started out’ around 7 or 8 years old, by teen or adult or parental gang members or affiliates. Any actual crime committed or violence etc would serve ON TOP of the time sentenced to for membership or affiliation. Also, the prison system would have to have a special gang unit to monitor and separate and help train the gang members and affiliated within the system. No child would join a gang or affiliate with them, if they knew their next ten years would be in prison being forced to pass a course with honors. If the course is never passed with honors, the sentence given may be extended until it has been achieved, to ensure the safety of the public and the reformation of the criminal.